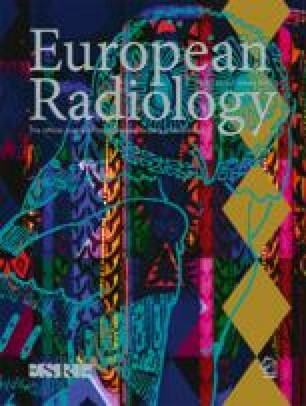 The purpose of this study was to demonstrate the utility of helical CT in assessing the therapeutic effects of endoscopic variceal ligation (EVL). Twenty-four patients with esophageal varices were examined. Helical scanning was initiated 60 s after intravenous injection (Iopamidol 300 mgI/ml, total 120 ml, 3 ml/s) was started. Esophageal varices were clearly depicted as high-density areas. Multiplanar reformation and 3D images demonstrated collateral circulation three-dimensionally. After EVL, mucosal high-density areas had diminished markedly, but collateral veins around the esophagus, and gastro- and/or spleno-renal shunts, were unchanged in all patients. Of 21 patients with collateral circulation, esophageal varices recurred endoscopically in 6 patients within 12 months. In 3 patients without collateral circulation, esophageal varices did not recur within 12 months. From these findings, we conclude that helical CT is a useful method for assessing the therapeutic effects of EVL.